Hatnua and Labor parties respond to election of Bezalel Smotrich as National Union leader: "Nothing new under the Smotrich". Politicians from the left on Monday evening responded to the election of MK Bezalel Smotrich as chairman of the National Union. 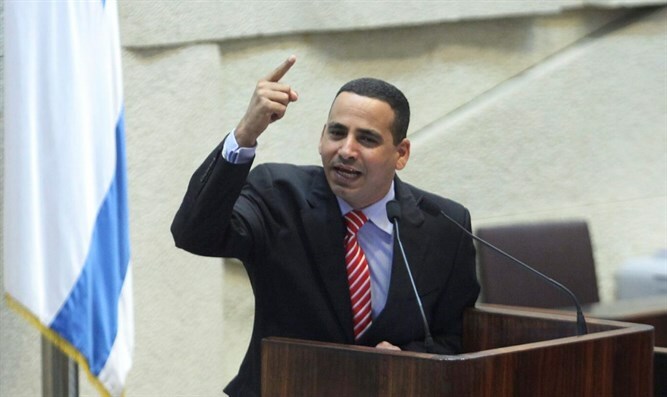 MK Yoel Hasson (Hatnua) said that "now the choice is clearer than ever, a Smotrich government or a Zionist and democratic government in which all citizens are equal before the law, a government that sanctifies the annexation or a government that works for a diplomatic agreement." MK Yael Cohen Paran (Hatnua) said that "there is nothing new under the Smotrich and nothing new under the extremist ideology. In these elections, Bezalel will not have a fig leaf to hide behind, like Shaked or Bennett, in order to soften his dangerous messianism." "It's in the hands of the voters to keep him far away from the Knesset. As for Uri Ariel, the Minister of Agriculture, now that you are retiring, the animals can breathe a sigh of relief," added Cohen Paran. Gilad Kariv, the leader of the Reform movement who is running for a spot on the Labor party’s Knesset list, said that "the National Union party today disgraced religious Zionism when it placed at its leadership the organizer of an animal parade against the gay community and one of the leaders of the racist and anti-democratic agenda of the extreme right." "The march of humiliation and rage has today recorded another disgraceful achievement, while kicking the Jewish values of the creation of every person in God’s image and the pursuit of peace. This is a sad day for religious Zionism and a disturbing moment for Israeli society," Kariv added.